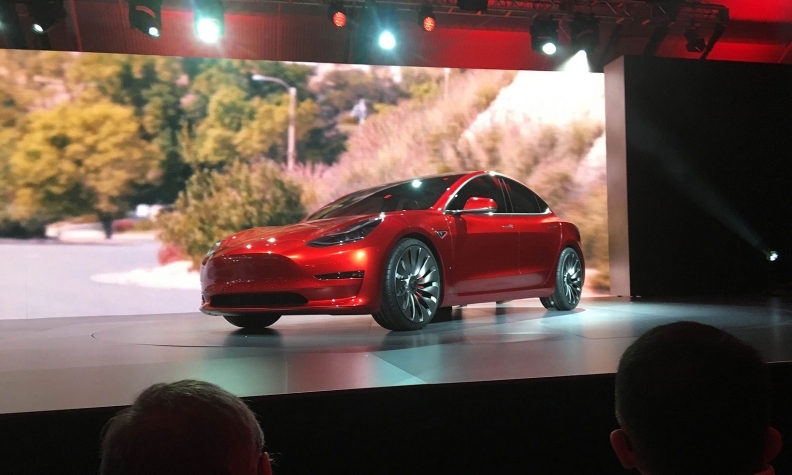 Tesla surprised investors last month with plans to speed up the introduction of the Model 3, a smaller, less expensive car than Tesla has built, and expand production capacity at a plant in Fremont, Calif.
Tesla Motors Inc. said it would sell $2 billion in stock to help finance the accelerated launch of its new Model 3 electric sedan. The company's shares were down 1.8 percent at $207.30 following the news after markets closed on Wednesday. Tesla CEO Elon Musk surprised investors last month with his decision to speed up the introduction of the Model 3, a smaller, less expensive car than Tesla has built, and expand production capacity at the Tesla plant in Fremont, Calif.
As part of the sale, Tesla said it would offer about $1.4 billion of shares, with the remaining shares to be sold by Musk to cover taxes connected with his exercise of more than 5.5 million stock options.